Based in Ballarat I provide design and drafting services for residential projects in Victoria. With over 20+ years architectural drafting experience and having been a house energy rater for 12 years, I can design your new home, extension or renovation that meets your project goals. Warmth, light, energy efficiency and peace of mind. At Enduring Domain this is not a luxury, it’s a right. Create your Future Heritage place of abode, work or leisure with us. Specializing in highly energy efficient places of abode, work and leisure, including new builds, additions and alterations of any scale. We are an independent, Australia-based, practise, delivering compelling built environment solutions to a broad range of clients, both here in Australia & internationally. Our ethos is to enrich lives and everyday experiences through the sensitive translation of briefs into extraordinary designs. We offer a fully integrated, multi-disciplinary service, and seek to create sustainable structures and spaces that will delight and inspire - on time, and within budget. Whether you have an entirely new building project in mind or seek to refresh or repurpose existing assets, we undertake residential, commercial and leisure projects of any style or scale, in any location. ARCHITECTURE & ENGINEERING Open, creative dialogue between client and architect is vital to the success of any building. From the outset of a project, we take a collaborative approach to sketch design that encourages the exploration and development of ideas, and then build upon them throughout the life of the project, resulting in structures that satisfy, both emotionally and practically. We are experts in developing strategies to enhance the value of your property, whilst responding, at the same time, to the environmental issues we face today. At the heart of our process, we are profoundly committed to the highest standards of architectural design, professional practice, and environmentally sustainable methods & materials. 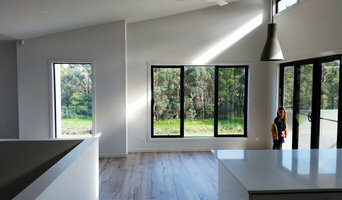 RB Building Design is a Ballarat based building design practice offering professional full design documentation and advice on all planning and building requirements. RB Building Design, has over 10 years in the building design industry and a previous 6 years in the construction industry and it’s our intent goal to offer high quality plans that can be personalised to suit your business needs. Arch Design Space creates building that embrace the surroundings and its physical environment. Great Design evolves, with all elements and principles coming together. To bring inspiration and innovation to every design build leaving everything to the imagination. Working in the building industry since 2003, with a trade back ground. What does that mean? and how does that help you? Not only do I design from a conceptual and theoretical academic perspective, I have many practical years of experience onsite and understand how things go together. Many designers and Architects say that it's the builders problem or the engineer will work that out. But you need to ask yourself, there must be something fundamentally wrong if your building designer or Architect doesn't have an understanding of the mechanics of how your building will go together. I also believe we must make informed material choices, and choose the most ethical materials we can afford in regards to the aesthetic appeal, environment, sustainability and overall functional energy efficiency. After all a building is a long term investment , financially and often emotionally, and it's performance is measured over the years of its occupancy not when all the people that put it together walk away. I also understand not everyone can read plans, that's why everything is modelled in 3D so it's much easier to visualise what is being proposed. 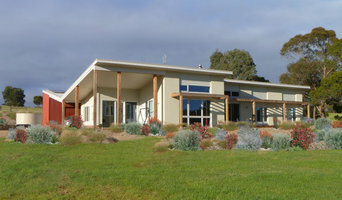 O’Beirne Design is a Building Design and Drafting Business based in Buninyong, Victoria, servicing the greater Ballarat area and the Western district. With years of experience in the design and documentation of residential and commercial buildings, we are well equipped to provide a quality service to our clients no matter what the size of the project. 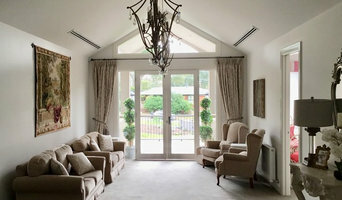 With a solid background in the building industry and with a sound knowledge of Building regulations and building science, we pride ourselves in providing quality in design, documentation and regulatory compliance. 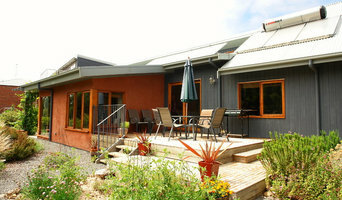 Plan Inc. is a boutique building design firm, based in Ballarat, Victoria. With projects spreading across the state, Plan Inc. provides architectural services for new residential homes including renovations and extensions, multi residential unit developments and new commercial projects including interior office and retail reburbishments. At Finding North, we believe that everyone has the ability to make changes which improve how we live sustainably. Based on honest and independent service we hope to help others achieve this for themselves. We like to lead by example. Our company vehicle is a hybrid Carbon is offset using indigenous trees we planted ourselves Solar passive designed office includes: Double glazed windows Roof and wall insulation Draught proof Water efficient devices Energy efficient lighting 1.5kW solar system Solar hot water Energy efficient appliances where possible Home office reduces travel 100% GreenPower Standby on appliances is switched off Computers set to ‘sleep’ when not in use Minimised paper usage – recycled used where possible Social Conscience is a key factor. Third i Studio provides innovative and valuable digital services for Architects, Building Designers, Interior Designers, CAD based businesses and the the general public. We do this through stunning 3D architectural modelling and visualisation services to bring your floor plans to life. Our services are used for marketing, planning applications and for clients that would like to see what there new design will look like before committing to the design. As with all other professional services for home design and renovation, the best way to choose a building designer in Ballarat, Victoria is to asses their past work against the style and requirements you have for your individual project. The role of building designers has evolved from traditional drafting services to building design that takes into account your lifestyle, budget and site condition. Building designers in Ballarat, Victoria also often work with contractors to ensure that structural elements are in line with desired aesthetics. Once you have a shortlist of building designers in Ballarat, Victoria, engage in face-to-face talks about your brief, to ensure you’re on the same page. To get the most value for your money, you want someone who understands you, agrees with your ideas – in relation to sustainable design, space and function – and has the qualifications and enthusiasm to translate ideas to paper and into a reality. Look through Photos of house designs to find projects similar to your brief. Then, click through to the professional responsible for your favourite picks, browse their latest projects and read reviews. Once you’ve created a shortlist of Ballarat, Victoria building designers, strike up a conversation with each one and you’ll be one step closer to the house of your dreams!